The operative word here is “try”. As long as we’re doing the trying nothing will ever get broken. If at first you don’t succeed, you won’t ever succeed. Because you can’t. When you or someone else uses the word “try” that means that “self” is taking on responsibility. And that is a bad thing. No brokenness on the horizon when self’s on the landscape. Self tries to live the Christian life. Self does Christian work. Self loves to chair committees. Self likes to volunteer in the food pantry and the clothes closet. Self likes to read Scriptures in the Sunday morning service and sing in the choir. Self loves to teach Bible Study. No wonder self needs breaking. No, no. Don’t put this off on someone else you think of at church or at work. Self is you, buster. Self is you, ma’am. Self is me. Self likes to take leadership positions. Self gets envious and irritable and arrogant. Self thinks it knows best. Self gets envious and resentful and critical. Self worries. Self gets full of self. Self stands up for her rights. Self knows how it would do things around its church. Self pouts. Self is unyielding in its attitudes towards others. Self looks for greener grass. Self is judgmental. Self is self-conscious. Self takes criticism personally. Self is such a failure. No wonder we need breaking. As long as self is in control God can do little in us or through us. But you don’t break your will to God’s by yourself. God has been working on you so you might consider replacing “self” with love, joy, peace, patience, kindness, goodness, faithfulness, gentleness and self control (Look in Galatians 5). God’s bringing pressure on you to show you how much better He is at doing things you keep trying to do but fail. His conviction is continuous, which means we’ll have to be broken continuously. Over and over. Day after day. Sometimes hour after hour. Think about that. Jesus, the Son of God, God Himself, voluntarily allowed Himself to be completely broken. He was willing to give up all His rights, never own a home or have any possessions of His own, to allow men to revile Him (without retaliating against them or defending Himself), then be dragged to Calvary and crucified for your sin and mine. To be an authentic follower of Jesus, then, every (EVERY) one must be more important than we think we are. The degree to which we are willing to die to self and serve others will show how (and “if”) we are serving others. All day long the choice is before us. It means yielding to everyone who cuts in front of us on the Interstate, everyone who humiliates us, everyone who cheats us, everyone who lies to us. If we’re going to follow Jesus, we must crucify self and yield to others. The only life that pleases God is His life — never our life. Our self-centered life is the exact opposite of His life. And we can never be filled with His life unless we are prepared for God to constantly bring our life to the cross, break it and crucify it. So all we have in us is Him and Him alone. 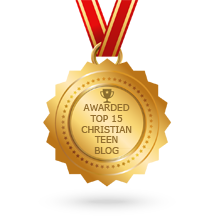 I’m so blessed that you stopped by my blog. Did you feel uncomfortable? That could mean the Holy Spirit is prompting you to look a little closer at your life. Examine your heart. He may be telling you you’ve got something in your life you need to be broken. Thanks again for stopping by and may God richly bless you. This entry was posted in A CLICK A BLESSING TODAY, CHRISTIAN FOUNDATIONS OF BELIEF, CHRISTIAN LIFE AND THE WORD and tagged Brokenness, Holy Spirit, self, self-centered, self-effort, Surrender. Bookmark the permalink. Awesome comment and thought. Thank you so much for stopping by and leaving such encouragement. Christianity is a cross and a cross is “I” crossed out. It is no longer “I” who lives, but Christ who lives in me – well, that is the way it SHOULD be.